Joel Knight, 52, was killed when his 2006 Ford Ranger airbag exploded after the truck hit a cow. 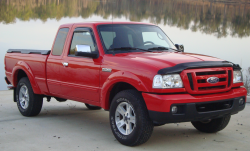 January 22, 2016 — A 2006 Ford Ranger Takata airbag death in South Carolina is the 10th confirmed fatality caused by an exploding Takata airbag inflator. The National Highway Traffic Safety Administration (NHTSA) says the December 22, 2015, accident involved the driver of a Ford Ranger truck that struck a cow on South Carolina Highway 522. The South Carolina Highway Patrol says Joel Knight, 52, was driving on Rocky River Road in Lancaster County when the Ford Ranger hit the cow, causing the truck to leave the highway and crash into a fence. Although Knight was wearing a seat belt, he died of injuries resulting from shards of metal penetrating his neck from the exploding Takata airbag. The death of Joel Knight is the first caused by a Takata airbag inflator in a Ford vehicle. All previous deaths have occurred in Honda vehicles. With the announcement of another Takata-related death, NHTSA says a new airbag recall will be ordered that will involve about 5 million vehicles. 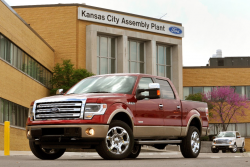 About 1 million of the vehicles will be recalled based on the South Carolina Ford Ranger death. 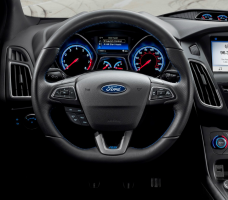 NHTSA says the airbag inflators used in the 1 million cars and trucks are the same as used in the Ford Ranger. 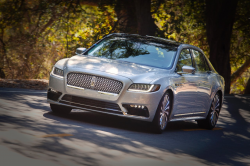 NHTSA says the 1 million vehicles will include models from Audi, Mazda and Volkswagen, but the government is waiting for additional information from the automakers before releasing more details. The additional 4 million vehicles will be recalled based on information provided by Toyota and Takata. Both companies say five metal inflators exploded during testing. The scary part? All five inflators were taken from Toyota RAV4 SUVs that had their inflators replaced during a previous recall, so the replacement inflators are already exploding. NHTSA says all five SUVs had been used in Florida. Based on these latest test results, about 4 million vehicles will be recalled from BMW, Honda and Mercedes-Benz. The government has concentrated on areas of high absolute humidity based on the theory moisture is making the explosive airbag chemical unstable over time. The chemical, ammonium nitrate, is believed to be the cause of why the metal airbag inflators explode during airbag deployments, even in slow-speed accidents. NHTSA says the 2006 Ford Ranger driven by Knight had spent time in humid areas of Georgia. CarComplaints.com will update our website with additional recall details when they become available.